Celestin was born in Napoleonville, Louisiana, to a Creole family, son of a sugar-cane cutter. In his youth, he worked on rural Louisiana plantations. Eager for a better life, he worked as a cook for the Texas & Pacific Railroad, saved up money and bought used musical instruments. He played guitar and trombone before deciding on cornet as his main instrument. He took music lessons from Claiborne Williams, who traveled down the Bayou Lafourche from Donaldsonville. He played with the Algiers Brass Band by the early 1900s, and with various small town bands before moving to New Orleans in 1904, at age 20. In New Orleans, he played with the Imperial, Indiana, Henry Allen senior’s Olympia Brass Bands, and Jack Carey’s dance band; early in his career, he was sometimes known as “Sonny” Celestin. About 1910 he landed a job as leader of the house band at the Tuxedo Dance Hall on North Franklin Street at the edge of Storyville. He kept the name “Tuxedo” for the name of the band after the Dance Hall closed. Dressing the band in tuxedos, the Tuxedo became one of the most popular bands hired for society functions, both black and white. For years Celestin co-led the Tuxedo Band with trombonist William Ridgely. They made their first recordings with the band during the Okeh Records field trip to New Orleans in 1925. Shortly after Ridgely and Celestin had a falling out and for about 5 years led competing “Tuxedo” bands. Celestin’s Original Tuxedo Orchestra made an additional series of recordings for Columbia Records through the rest of the 1920s. In addition to the Tuxedo Orchestra, Celestin led the Tuxedo Brass Band, one of the top brass bands in the city. Such notables through the years were trombonist Bill Mathews, pianist Octave Crosby, drummer Christopher Goldston, cornetist Joe Oliver, trumpeter Mutt Carey, clarinetist Alphonse Picou, bassist Ricard Alexis and trumpeter Louis Armstrong played in the Original Tuxedo Orchestra with Celestin. In 1932 Celestin was forced out of the business by depression economics, working in a shipyard until he got another band together after the World War II. The new Tuxedo Brass Band proved tremendously popular and was hailed as a key New Orleans tourist attraction. In 1953, Papa Celestin appeared leading his band in the big-budget travelogue Cinerama Holiday. His band became a regular feature at the Paddock Lounge on Bourbon Street in the French Quarter, and made regular radio broadcasts, television appearance, and more recordings. In 1953, Celestin gave a command performance for President Eisenhower at the White House. His last recording singing, “Marie LaVeau” (1954). In view of the tremendous contribution Celestin made in jazz throughout his lifetime, the Jazz Foundation of New Orleans had a bust made and donated to the Delgado Museum in New Orleans. 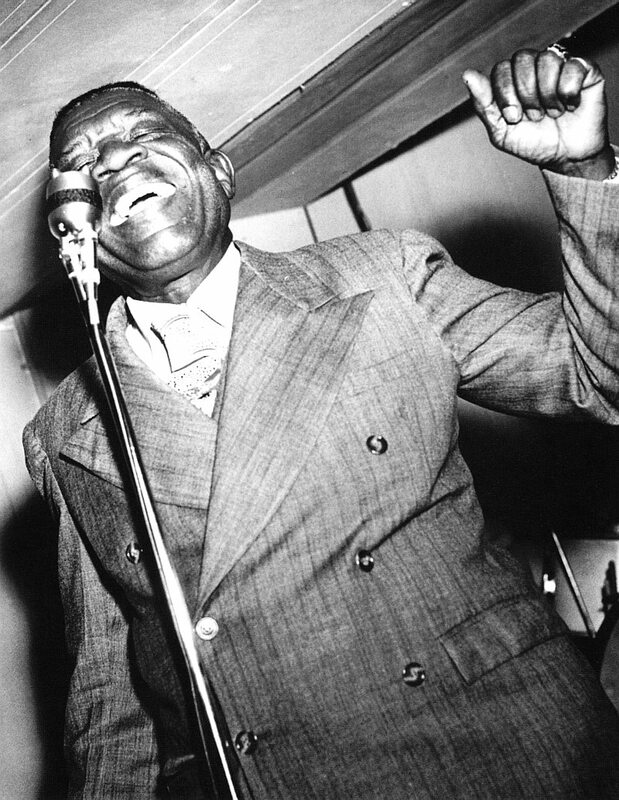 Near the end of his life, he was honored as one of the greats of New Orleans music, 4000 people marched in his funeral parade when he died in 1954. After his death, Tuxedo Brass Band leadership was briefly taken over by trombonest Eddie Pierson until his death in 1958. The leadership of the band fell to banjo player Albert “Papa” French.